You're three-fourths of the way through your ultra-length race, and you're not even breaking a sweat thanks to De Soto's Skincooler Half Zip Tri Top. Made from De Soto's Skincooler 90™ fabric, this top is designed for breathability and ventilation without skimping on comfort, blocking 90% of UVB rays to keep body temperature lower, and simultaneously creating a cooling sensation when wet. With a half-length 12" YKK® zipper, dial in ventilation to exactly what you need when you need it. 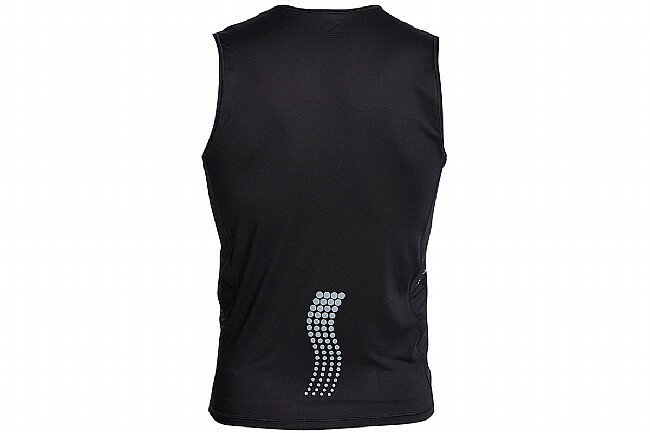 Featuring Skin Cooler 90 fabric, this sleeveless tri top blocks out 90% of UVB rays. 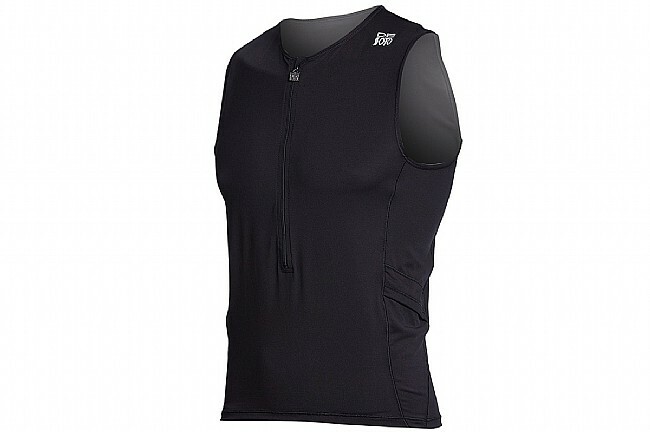 Deep cut armholes and off-set seams prevent chafing. 2 Waterlid hydrodynamic pockets store training/racing essentials.